The chances are, that you are reading this article because it is broken. In other words, your Philips SpeechExec software is no longer doing what it is suppose to do, or not doing anything at all. You could be wondering “how or why did this happen and how do I fix it so it doesn’t happen again”? If you are, this article is for you. Here’s a quick overview of Philips SpeechExec Pro software versions, what’s still supported and what you need to know when switching to Windows 10. Version 8.8, supported only up to Windows 10 Version 1511. Please note that SpeechExec Version 8.8 is end of life since March 2017! If you need support, Philips will ask you to update to the latest version possible first. 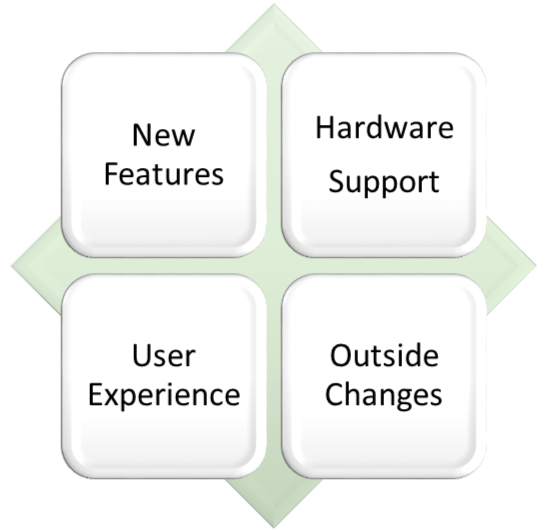 The minimum version Philips will provide for (at the time of this writing) is version 8.8 because most of the issues are solved simply by updating. There are always new features, most you don’t know about but will most likely want. Other people are taking advantage of them, you should too. One of the major functions of the Philips SpeechExec Software is to be able to communicate with a very wide range of hardware devices from recorders to foot pedals. In turn, each of those devices will have many features and functions that SpeechExec will want to engage with and take advantage of. When we think of fixing bugs, we often think of fixing errors in the code. But those are not the only kind of “bugs”. Philips is constantly looking at the way that people use the software in addition to the way the software performs. The things that we call ‘fixes’ might be to improvements to things that really aren’t broken. One of the most important aspects of SpeechExec upgrading is keeping up with changes to other non-Philips software and services. For example, when Microsoft releases a new version of Windows, all your installed software must follow suit. SpeechExec, whether Standard or Pro, Dictate or Transcribe always have synchronized version numbers. As of the time of this writing, version 10.1 is the latest version. If you have an older version and would like to know more about the current version, contact us and we will be happy to hook you up with a demo. If you have USB dongle that validates your license, it is likely around version 4 or 5. Since the latest is version 10.x, those are really old and no longer supported. If you have a version prior to 7.0 unfortunately you will need to buy a new license. Need to know what version you have now? Go here! If you have a big, medium or little question? Go ahead and contact me. I will do my best to help.